Northwest Africa 7499 (NWA 7499) Meteorite For Sale 6.25g 7499-15 - The Meteorite Exchange, Inc. 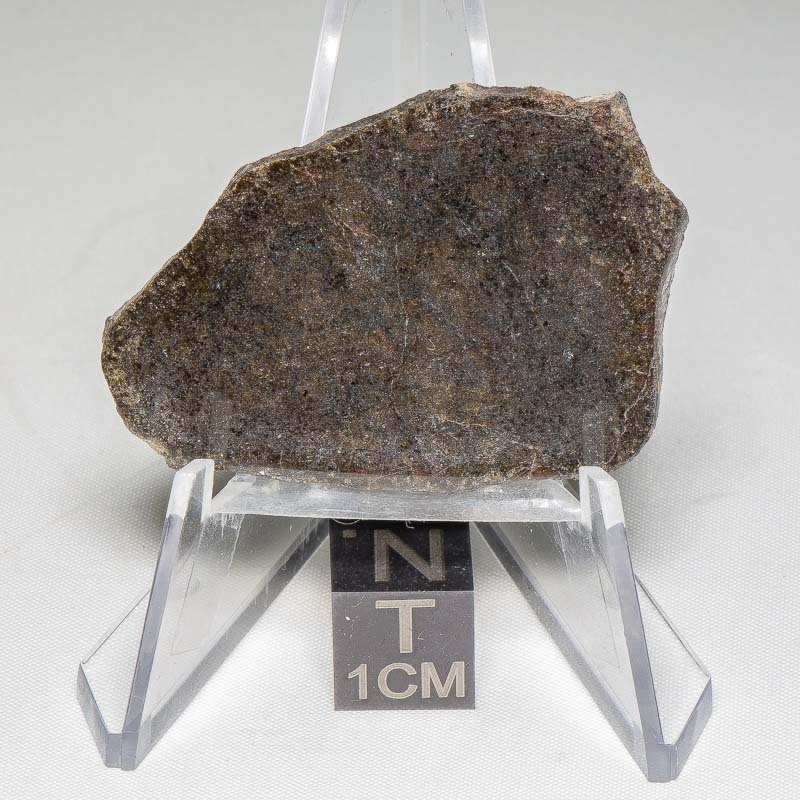 The NWA 7499 meteorite was purchased in Morocco as nine matching stones in August 2012. NWA 7499 is a Brachinite meteorite and a member of one of the rarest meteorite groups. Brachinites have a small amount of meteoric iron in the case of NWA 7499 that metal is mostly oxidized, but there are some metal grains to be found upon inspection with a hand lens. The slices we are offering here are very highly polished on one side and are beautiful examples of this rare type of meteorite.